Dubai: Abu Dhabi-backed driver Louis Deletraz is gearing up for another gruelling Formula 2 series, starting this weekend in Bahrain, but has plans for bigger prizes in the future. The Swiss son of former F1 competitor Jean-Denis Deletraz wants to follow in his father’s footsteps and is now one step closer to his dream having tested for the Haas F1 team over the winter in the UAE capital. 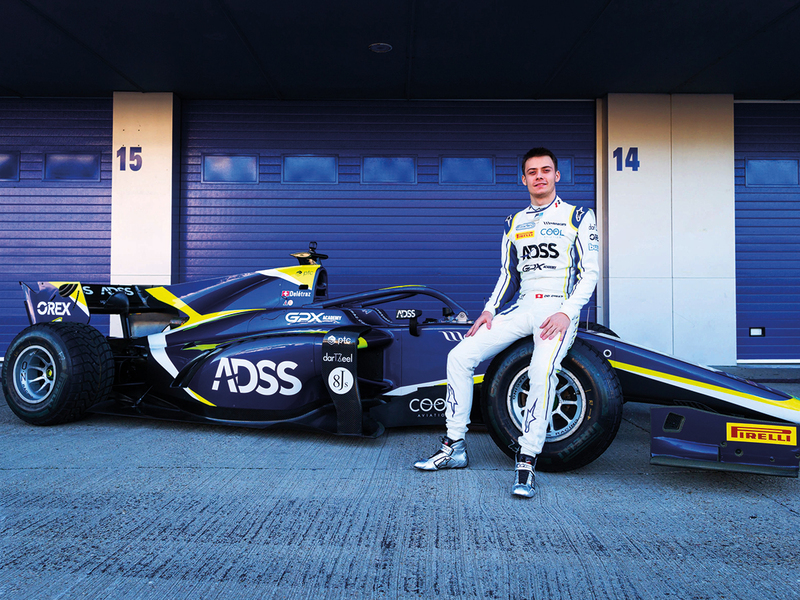 But first it is back to the season at hand in F2 and the ADSS-backed 21-year-old Carlin driver insists he is in a good place to make a charge for the title, having finished 10th last season. Pre-season testing in Barcelona and Jerez is now complete and all systems are go for he curtain-raiser in Bahrain this weekend. One rival on the F2 track will be a familiar name to racing fans around the world, as Prema’s Mick Schumacher is beginning to make his own name having been brought up as the son of seven-time F1 champion Michael. Schumacher Jnr is a Ferrari Academy driver and is taking the step up to F2, having progressed through the ranks from karting as a kid and won the F3 title last year. Deletraz got a taste of things to come when he tested for Haas in Abu Dhabi at the end of last season, and he can’t wait to get behind the wheel of one of the most powerful racing cars in the world once again. “My first F1 test was amazing, a day I will never forget,” he said. “Especially as it was in Abu Dhabi — the home of [private financial services firm] ADSS, my long-time sponsor — so we couldn’t dream of a better start to my Formula 1 career. The Haas F1 Team was pleased with my performance and I will be working with the team to help develop the car through 2019. I have to say the cars are incredibly quick and have so much grip. The top three F2 drivers in 2018 — George Russell, Lando Norris and Alex Albon all graduated to F1 for the current campaign and Deletraz feels he is not far behind. The youngster is also keeping his options open, despite his commitments to Haas.